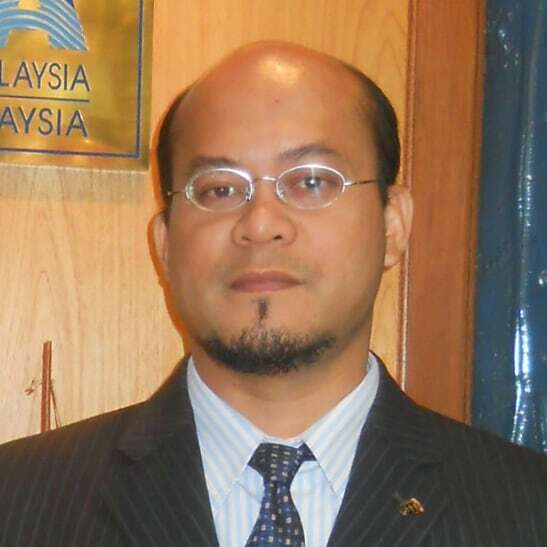 Nazery Khalid is Honorary Secretary, Association of Marine Industries of Malaysia (AMIM), an association representing 130 members in Malaysia’s marine industries. He is also Head, Group Corporate Communications at Boustead Heavy Industries Corporation Berhad, a company listed on Bursa Malaysia and primarily engaged in shipbuilding and ship repair and the defence industry. He was Senior Fellow / Research Coordinator and Head of Center of Maritime Economics and Industries at Maritime Institute of Malaysia (MIMA), a policy think tank under the Ministry of Transport Malaysia from 2004 to 2014. Nazery is a prolific commentator of the maritime sector and has published over 300 articles in print (including refereed journals, chapters in books) and online on a wide range of maritime issues including economics (ports, shipping, shipbuilding/repairing, offshore oil and gas), logistics, supply chain management, maritime security and diplomacy, and marine environment. He has two research papers on ship financing and multimodal transport and two conference proceedings published by MIMA. He has been involved in over 130 forums, conferences, seminars and dialogues worldwide on a range of maritime issues as a speaker, panelist and moderators. He was visiting scholar at Bahria University, Karachi (2008), Cardiff Business School (2010), University Paris Diderot (2011), National Institute of South China Sea Studies in Hainan, China (2013) and Sun Yat Sen University in Guangzhou (2013). Nazery has represented Malaysia’s delegations at International Maritime Organization meetings at its HQ in London and ASEAN Maritime Transport Working Group meetings. He sits on the Advisory Panel of Netherlands Maritime Institute of Technology Malaysia and the Advisory Council of Yayasan Peneraju Pendiidkan Bumiputera. Prior to his involvement in the maritime sector, Nazery spent 15 years working in the financial services industry including in banking, stockbroking, corporate finance and venture capital. He holds an MBA from International Islamic University, Malaysia and a BA in Business Administration from Ottawa University, Kansas, USA.